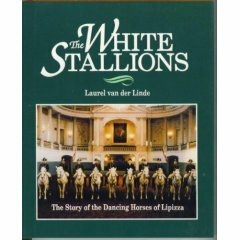 Author of several nonfiction books for children including So, You Want to be a Dancer?, The White Stallions and The Pony Express as well as articles published in such magazines as Equus and Horse Illustrated. 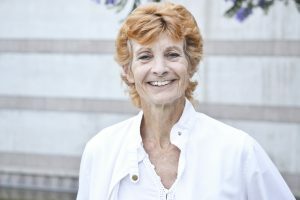 Ms. van der Linde has produced and/or directed many audiobooks for Hachette, Brilliance Audio, BBC AA, and others. I am frequently asked why I write for kids. Answer: because they are a tough audience. Adults will read anything. Kids, however, demand a high level of literary skill, a succinct style, action and honesty. One false note, and you’ve lost them. Kids are not interested in pabulum; never “write down” to them. Kids are always looking ahead. Their minds are like sponges, eager to absorb and explore as much information as they can. It is the job of the children’s writer to meet those demands and expand their horizons. While there is much competition from today’s media, a good story will always win out. Harry Potter has certainly proven these points with resounding alacrity. Ultimately, writing for children is fun. Kids keep you on top of your game, honing your craft and challenging your creativity. And, you are given full license to travel back in time and think and act (on paper, anyway) like an eight-year-old! Remember your favorite kid’s book? If you can influence one child the way that book did you, you have accomplished your mission.